The Balt Seminar is a regular event organized since 2000 by the State Archaeological Museum in Warsaw in cooperation with the University of Warsaw Institute of Archaeology. It brings together researchers, university students and members of the general public interested in the archeology and early history of the Balt tribes in Poland, Lithuania and Latvia. 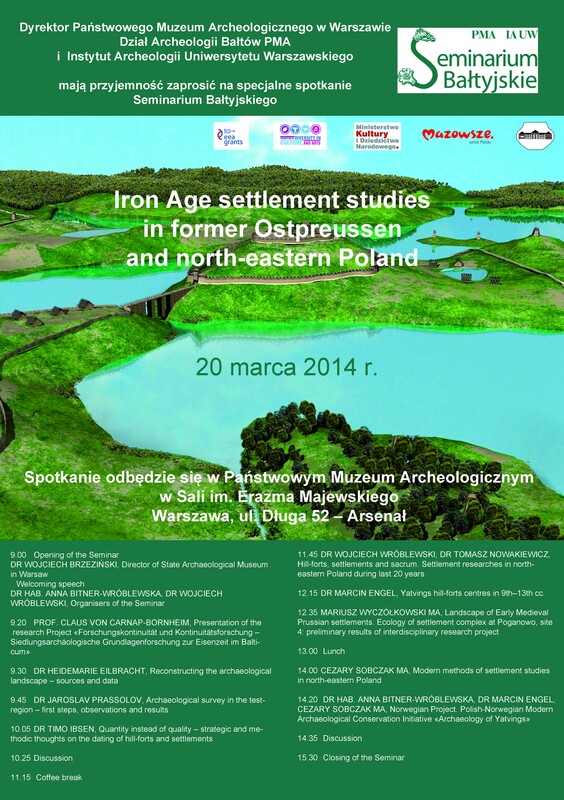 The encounter held on 20-21 March 2014 was accompanied by a workshop on Iron Age settlement studies in former Ostpreussen and north-eastern Poland dedicated to the study of archaeological settlement in north-eastern Poland and former East Prussian territory in the period from approximately the turn of the eras up to the thirteenth century. The new project presented on this occasion was the Polish-Norwegian Modern Archaeological Conservation Initiative “Archaeology of Yatvings”. 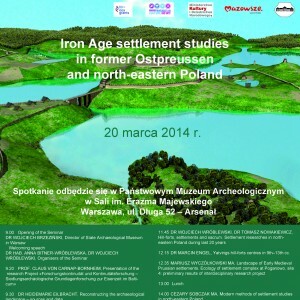 The Seminar was attended by guests from Germany (Archäologisches Landesmuseum Schloss Gotorff, Schleswig; Museum für Vor- und Frühgeschichte, Berlin) and Poland (State Archaeological Museum, University of Warsaw Institute of Archaeology, the Wojciech Kętrzyński Museum in Kętrzyn). Subjects addressed during the discussion included the methodology of the study of archaeological settlement patterns, with special focus on hillforts, the dating of settlement features, the potential of non-destructive and natural science studies. A significant element of the discussion was the working out of a common platform for the exchange of experience on settlement pattern studies.